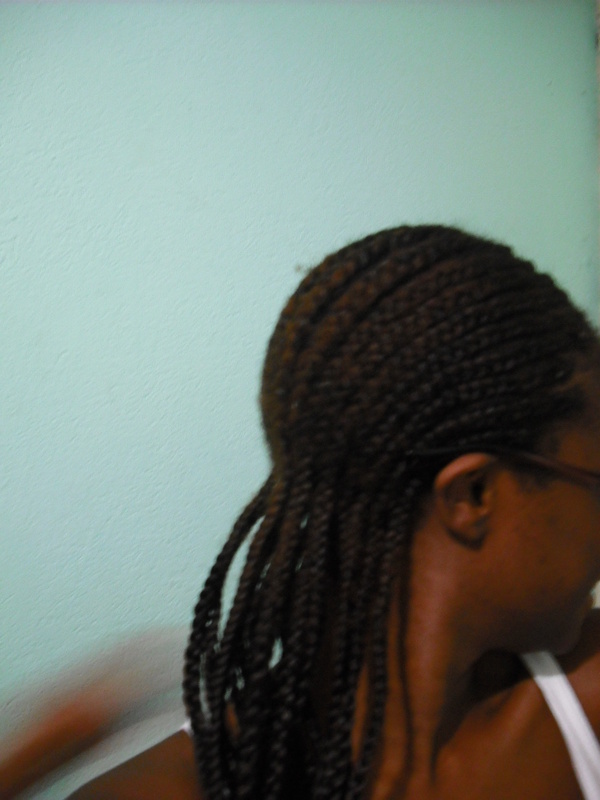 Last month I got braids. Straight back. Extra long. It was really cute. See below. 1. Kanekalon itches my scalp like crazy. One suggestion I’ve gotten is to oil my scalp regularly and another suggestion was to wash the hair prior to plaiting it in. Will try next time. 2. With the added bulk of the kanekalon its exceedingly difficult for me to get me glasses on properly (lol @ myself) and my ears stick out awkwardly as a result. 3. I definitely lost some hair because of how tight the front had to be pulled. 4. 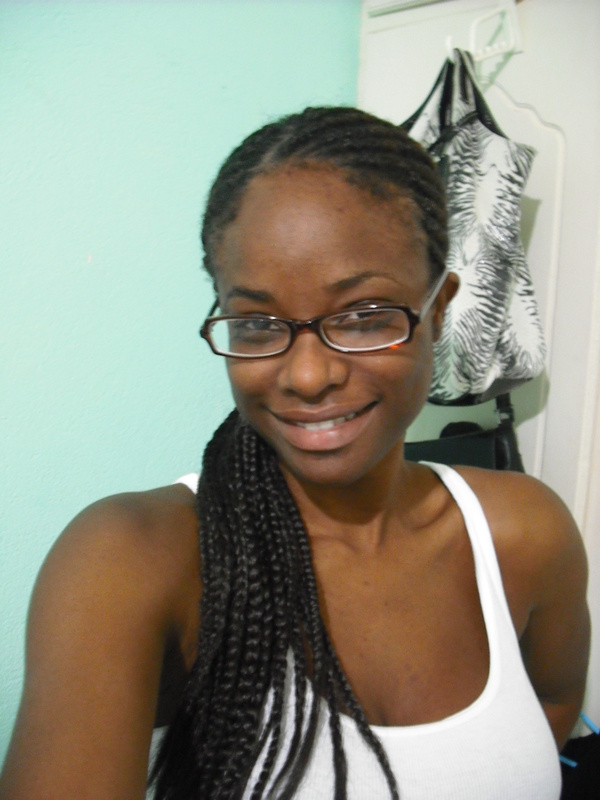 I’m still not in love with how my hairline looks when I have my hair braided back in cornrows. 5. I definitely enjoyed the hair to the side look. It adds something to an outfit. 6. My hair is really fuzzy, this style only lasted maybe ten days before it fuzzed out (as seen in the pics) and before the itching drove me to take them out. 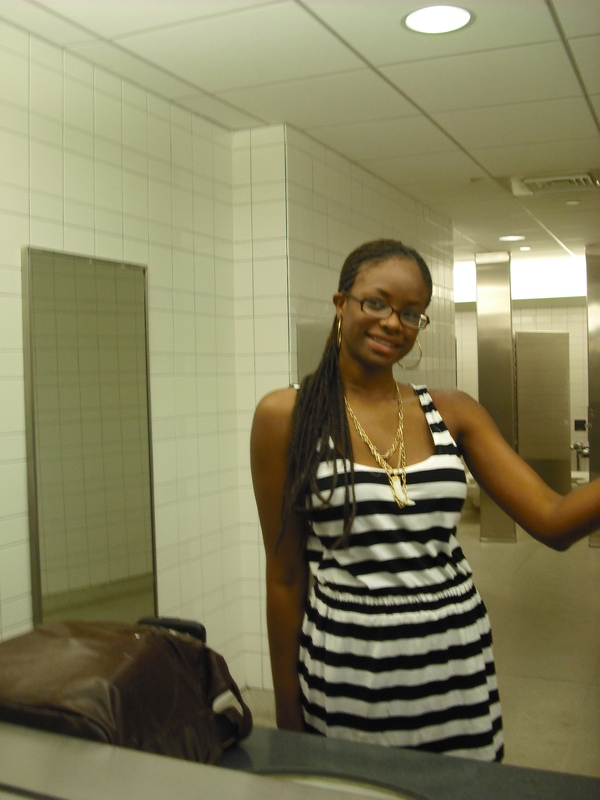 I would really love to have a few more candids on the site of hair cornrowed straight back. If you have any hit me up!